Much like doctors or real estate agents, lawyers specialize in certain areas of expertise and can even sub-specialize within those fields. Some lawyers spend their careers doing criminal law putting the bad guys behind bars, while others focus on constitutional law and defending the rights of the American public. Depending on your legal needs, you might even find an intellectual property lawyer with a specialization in patent law or copyright law. All lawyers specialize in something and you should know your lawyer’s to ensure you have the best defense in court. If you or a loved one has suffered at the hands of someone else, you might require the services of a personal injury lawyer. You may be awarded compensation for medical bills, family support, or even to simply ease the burden of living with your injury. Whether filing for workplace injury, wrongful death, vehicle accident, or other injuries caused by negligence or malpractice from another person or business, you’ll require the expertise of a personal injury lawyer or law firm. In the state of Texas, over 70,000 lawyers are licensed to practice, but only 2.5% are board certified in Personal Injury Trial Law. Choosing the right, qualified lawyer can help you return to living your life as it was before the accident. Business Law can be used both in small business and in corporations to settle contractual disputes, breaches of fiduciary duty, partnership and franchisor disputes, as well as fraud. While the expense of having a law firm on retainer may seem high, in the long run it can help save your business time and money. Lawyers can even take preventative measures and read all contracts and business agreements before you sign to avoid litigation in the future. As good samaritans, we all purchase insurance plans so we can be covered in case of accidents, disasters, and unexpected events. While we hope that we never need to use our insurance, when we finally have to we expect our insurance companies to cover the cost of medical bills, replacing automobiles, lost wages, etc. More often than not, insurance companies allow the process of bureaucracy to shortchange and even deny claims so they can continue to profit billions each year. Your insurance company is required by law to act in good faith, so when they fail to do so you may need the help on an insurance lawyer or law firm. Class action lawsuits prove there is strength in numbers. These collective cases help “the little guy” band together to combat big business when they are being exploited. It’s a collective effort requiring the time and finances of a group of people willing to persevere to change unfair business practices. Due to the high cost and long time frame, these cases are rare but when done right can be very effective in changing business policy. Appeals are a special niche legal expertise. When a case goes for appeal it is essentially undergoing a second judgement. One of the parties involved, typically the one that lost, believes the trial judge made a mistake and the case requires review from a higher legal body. Appellate cases can work their way through the legal system up until the Supreme Court for a final ruling. These cases can change the way our judiciary system practices law as well as shape the course of history. Looking For a Law Firm in Houston? 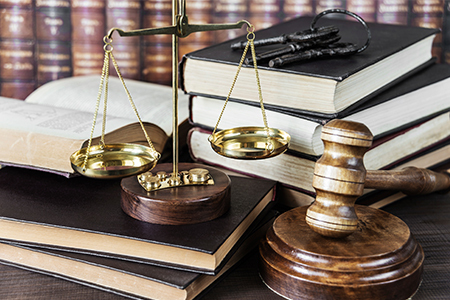 With almost a decade of experience and winning over 50 trials, we pride ourselves on providing the residents of Houston and the surrounding area with expert legal advice. Whether you need the help of a personal injury lawyer or counsel on an appeal, our lawyers are here to support you.